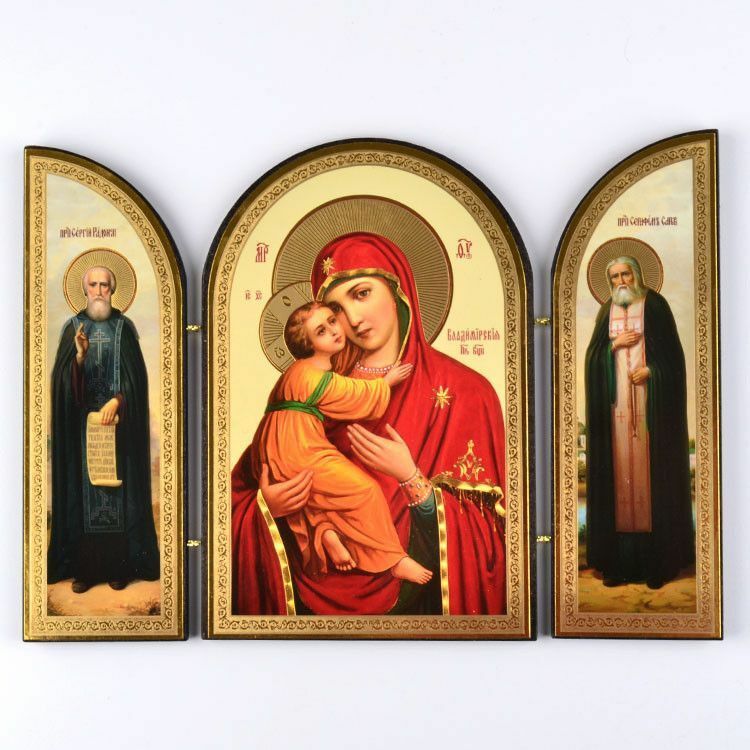 This triptych icon presents Vladimir Mother of God surrounded by two Russian Orthodox Saints: Sergius of Radonezh on the left and Seraphim of Sarov on the right. 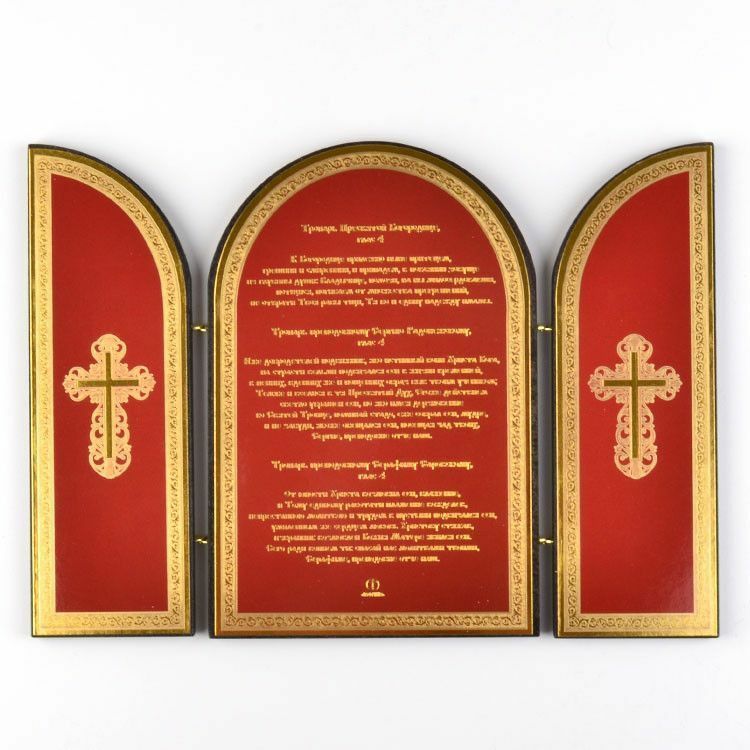 The back panel has words of Prayer. 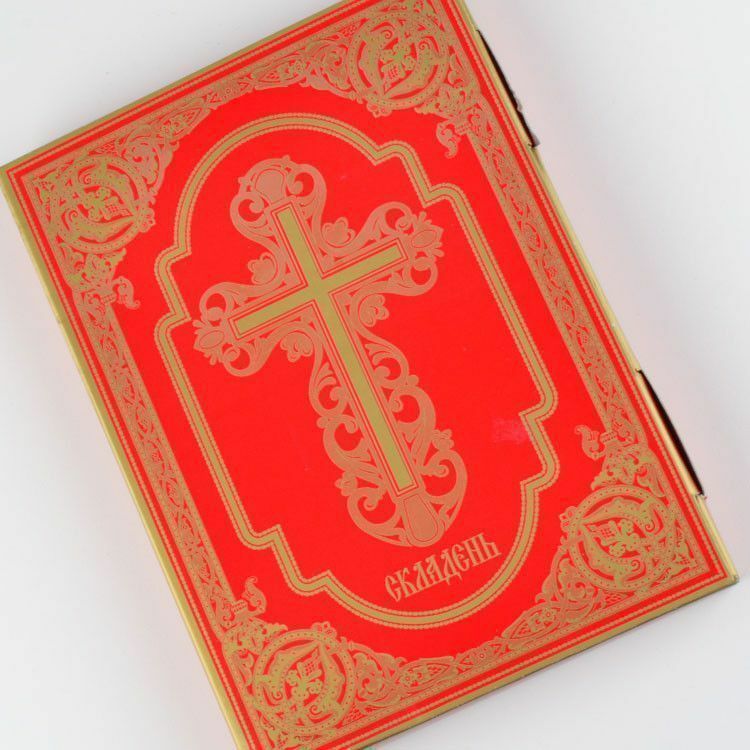 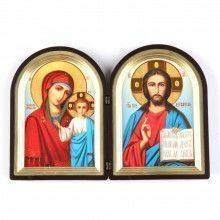 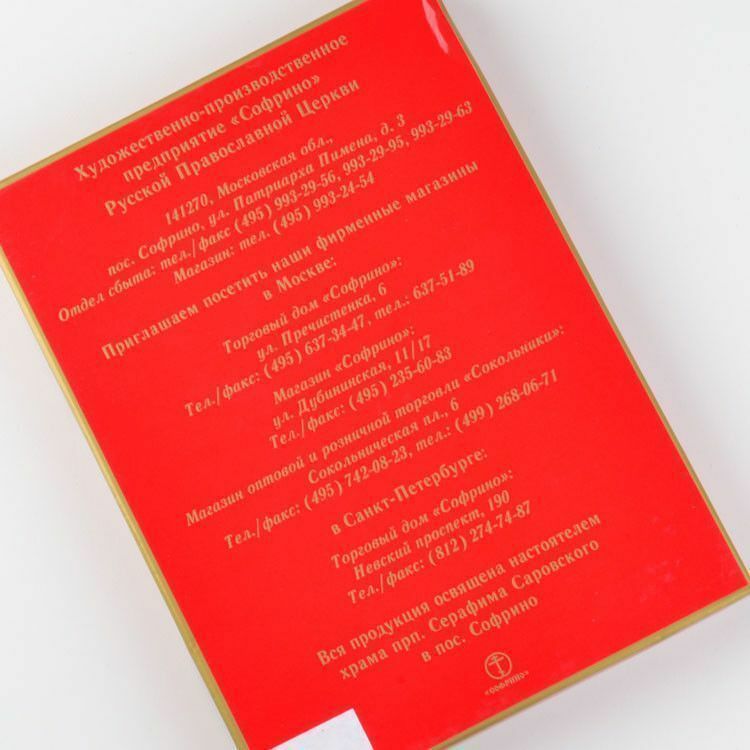 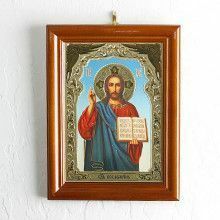 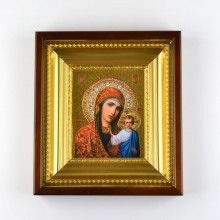 This icon is delivered in box shown and is Approximately 9 1/2" x 7" in size. 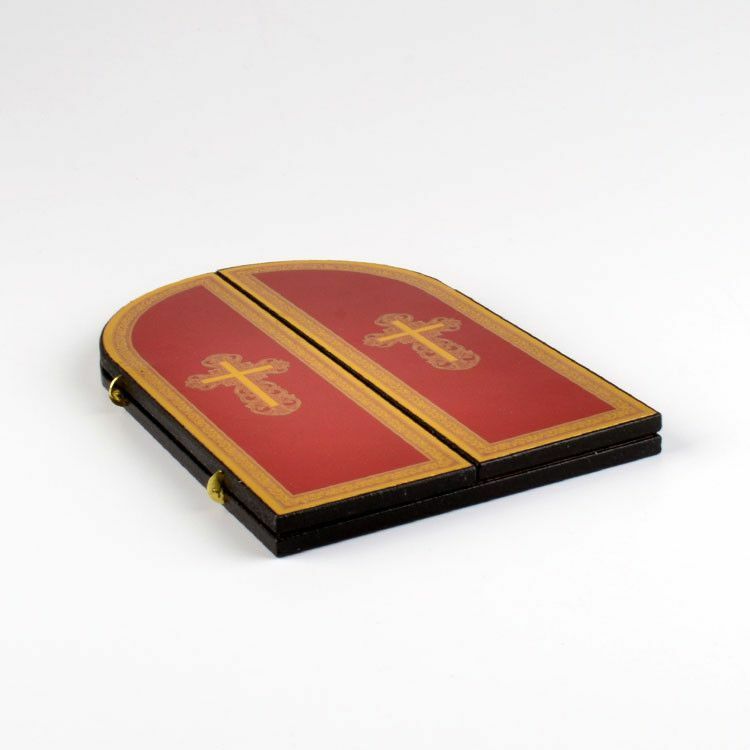 About 9 ½" x 7"